Just as the sun began to set over The Row, Cecelia and I tucked into Hayato for a one-of-a-kind kaiseki dinner orchestrated by Chef Brandon Go. 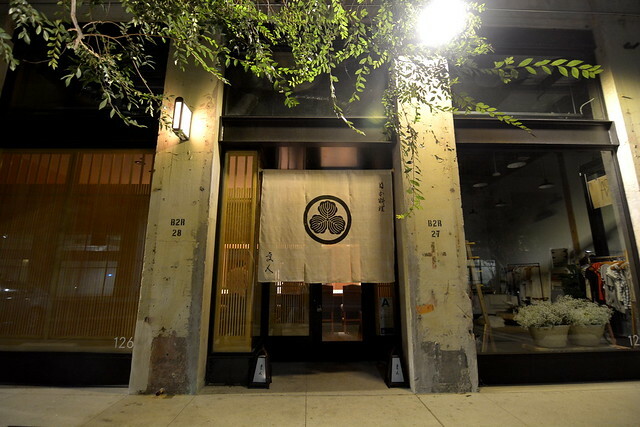 We had secured reservations as soon as the restaurant expanded their offerings beyond lunchtime bento boxes and were excited to experience “true Japanese cooking” (washoku) in downtown Los Angeles. Lasting nearly three hours and costing $200 per person (plus a 16% service charge), dinner at Hayato is hardly a casual affair. It is the kind of meal that ought to be planned in advanced, eagerly anticipated, and completely relished in the moment. 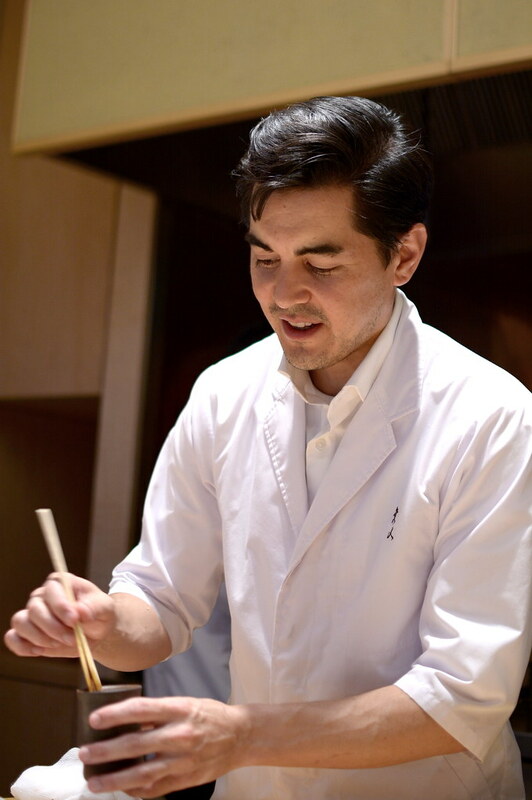 “Hayato is the culmination of a 20-year journey I have taken as an American-born chef learning about Japanese cuisine,” says Chef Go, who was born in Southern California and raised in his father’s sushi restaurant in Seal Beach. We were joined at the counter by two other guests this evening. 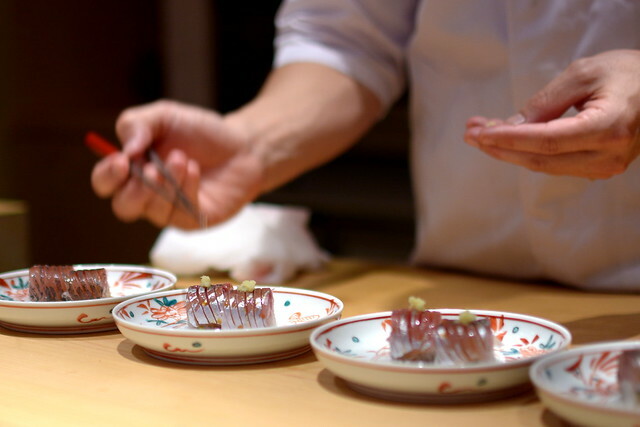 The four of us were greeted with sake and treated to a dozen courses, each highlighting a traditional Japanese “cooking” technique—sashimi, grilling, steaming, frying, and simmering. 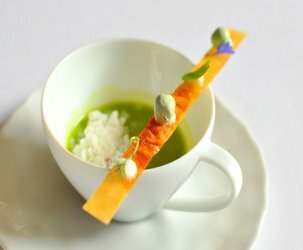 The results were seemingly simple, austere even, deriving their complexity from the impeccable ingredients. The parade of tastes was mostly prepared in the open kitchen and served directly by the chef, which made dinner quite the intimate experience. Chef Go has an easygoing way about him, so the meal was as casual and conversational as we desired. 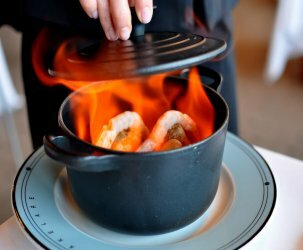 The first course featured grilled Santa Barbara spot prawns, okra, and seaweed served with a congealed dashi vinegar sauce. The bright, acidic flavors woke up our palates for the feast to come. 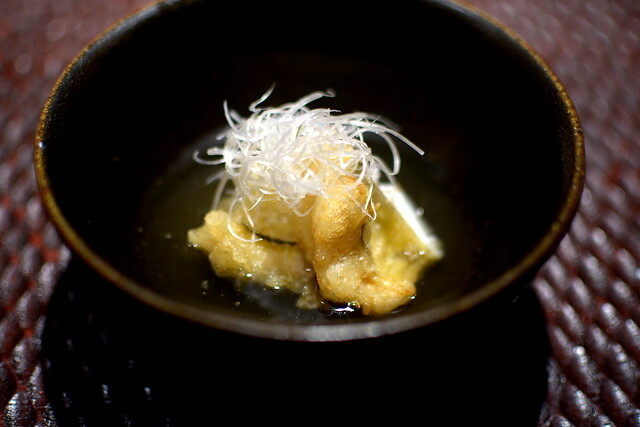 The Spot Prawns were followed by their brains, deep fried to an appealing crisp. 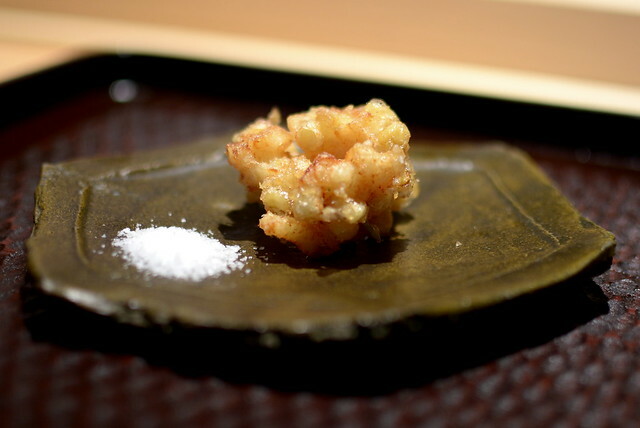 The next bite featured a fritter of fresh corn kernels and scallops in a tempura batter. A sprinkle of coarse salt brought out the fritter’s intrinsic sweetness. 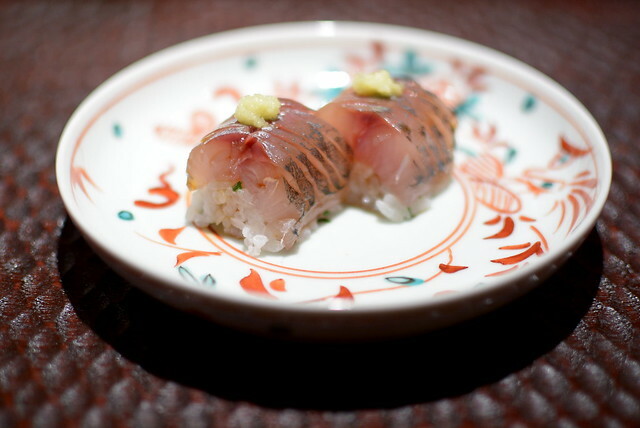 The Spanish mackerel sushi was served on rice speckled with Japanese chives and topped with grated ginger. I could’ve easily polished off an entire roll or two or three—so it goes for a sushi fiend. 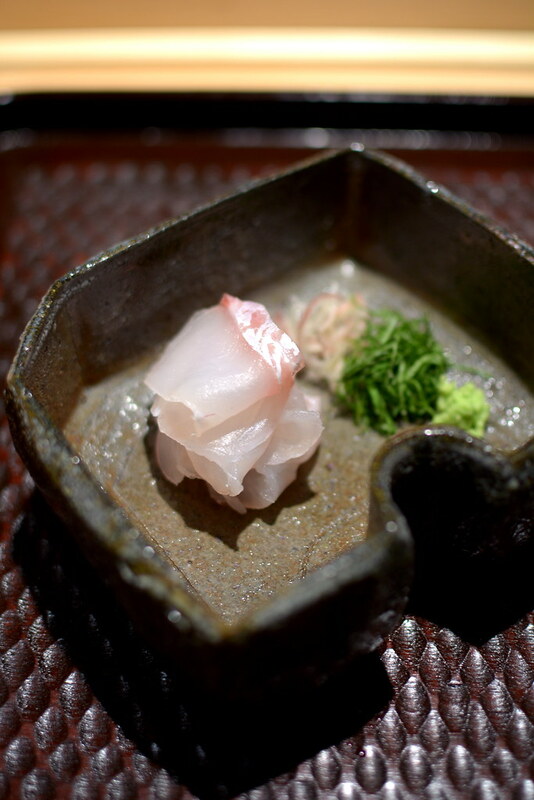 Next to follow was the seabream (tai) sashimi served with fresh wasabi, salt, and soy sauce. 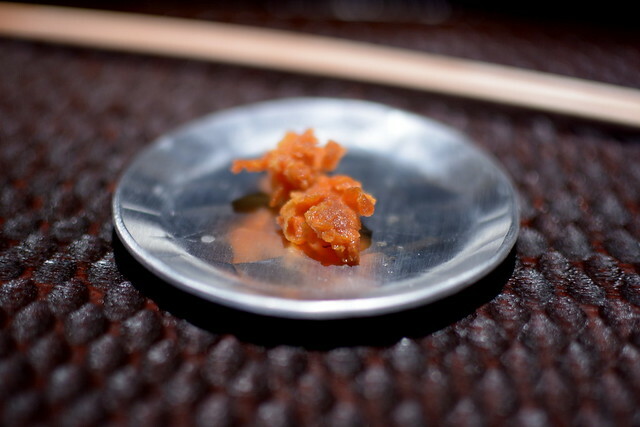 Dipping the fish in salt was a game-changer, enhancing its supremely clean flavor. 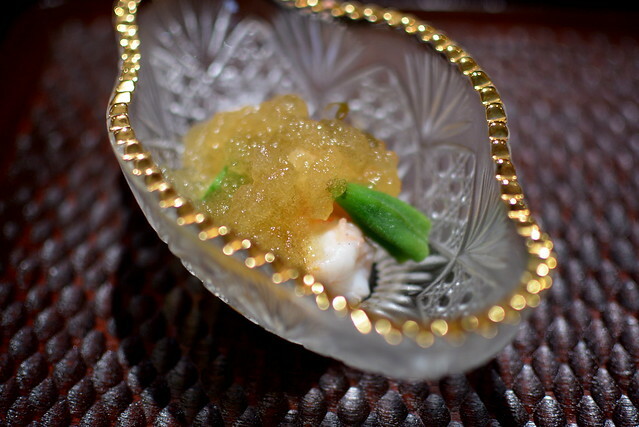 A pristine dashi, prettied with gelatinous “flower tips,” arrived cradling a hunk of Dungeness crab with a lone baby turnip. This dish epitomized what Hayato seems to strive for—serving the very best ingredients and letting them shine without any fussy flourishes. 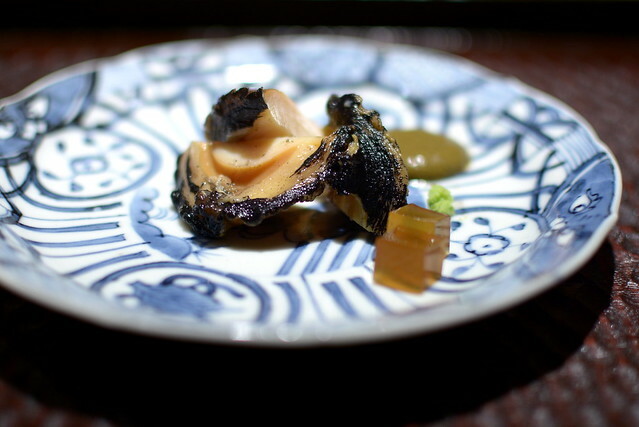 And then there was steamed abalone served with its delicious liver, abalone stock, and fresh wasabi. The liver “sauce” had the entire counter buzzing. 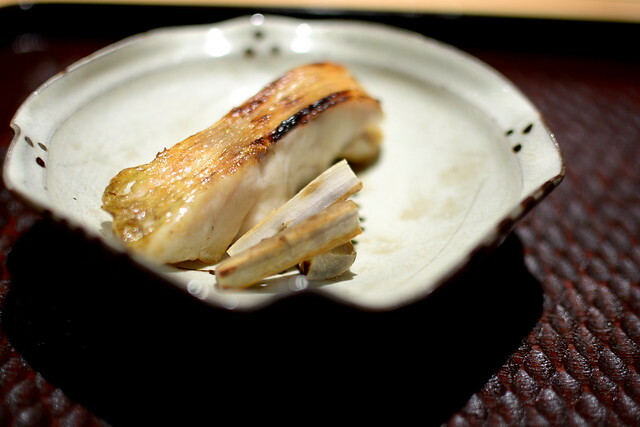 A grilled filet of blackthroat seaperch (nodoguro) was next on the scene. The binchotan‘s smoky essence enrobed the fish, crisping its skin and balancing its fatty flesh. Served alongside was a bit of salt and burdock root with soy. 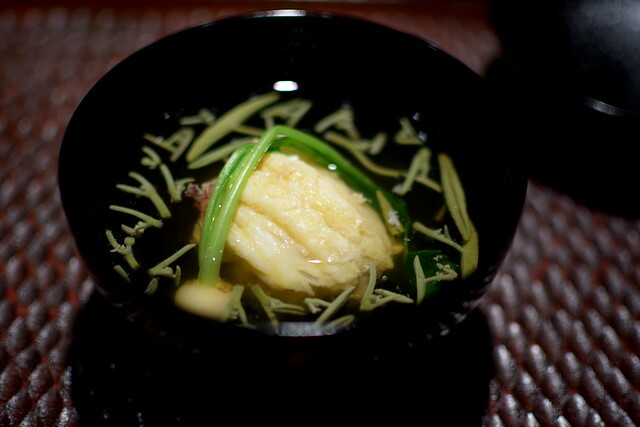 Next up was fresh water eel, battered and deep fried, served in a ginger-infused dashi thickened with starch and garnished with Japanese scallions. 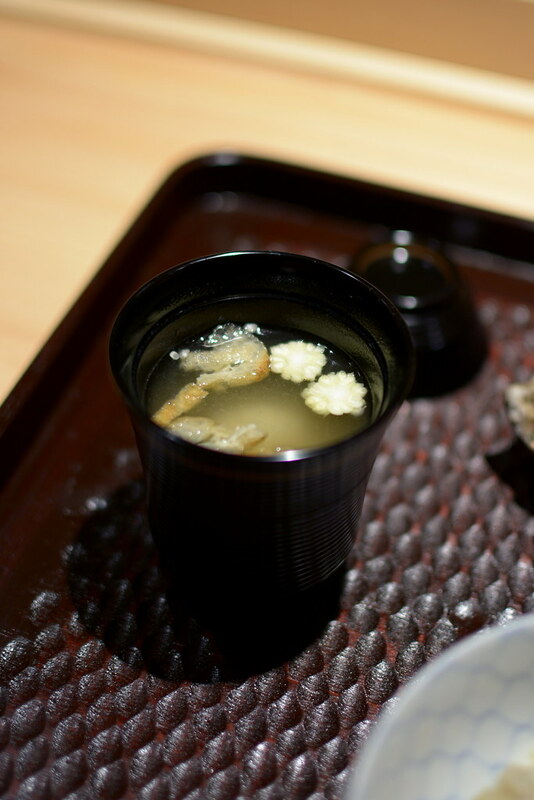 The warm broth demanded to be slurped long after the eel was gone. 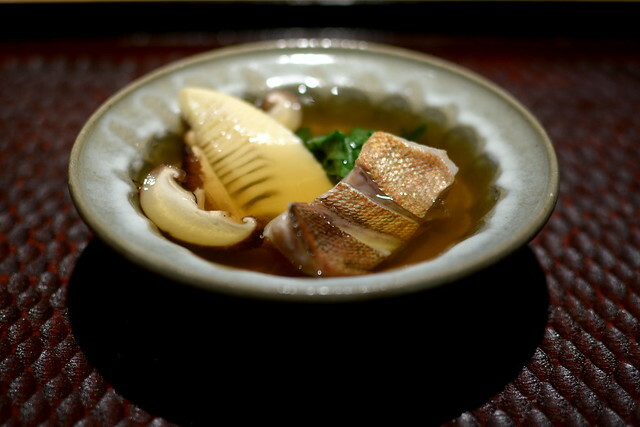 For the penultimate course, Chef Go prepared a beautiful filet of rock fish in a dashi fortified with extra konbu (kelp) along with shiitake mushrooms, bamboo shoots, and Japanese mustard greens (mizuna). 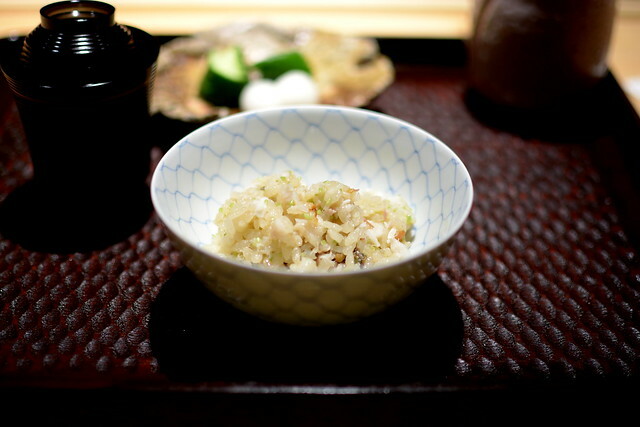 The finale was a show-stopping rice dish made with seasonal ingredients including baby barracuda and Japanese parsley stems. I was so incredibly full at this point that I had to refuse seconds, which broke my heart more than a little. 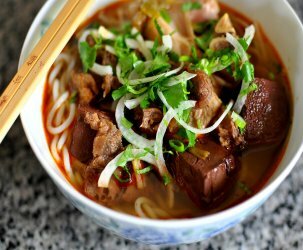 Note: While it is acceptable to pick up one’s bowl to shovel rice directly into one’s mouth in Vietnamese culture, Japanese tradition dictates that the bowl should not leave the table one can pick up the bowl and use chopsticks to pick up a portion. Chef Go is fine with either method. Served on the side was miso soup, as well as daikon radish and cucumber pickles. Before sending us waddling into the night, Chef Go prepared a serving of peaches marinated in rice wine (mirin) and a few cups of green tea. 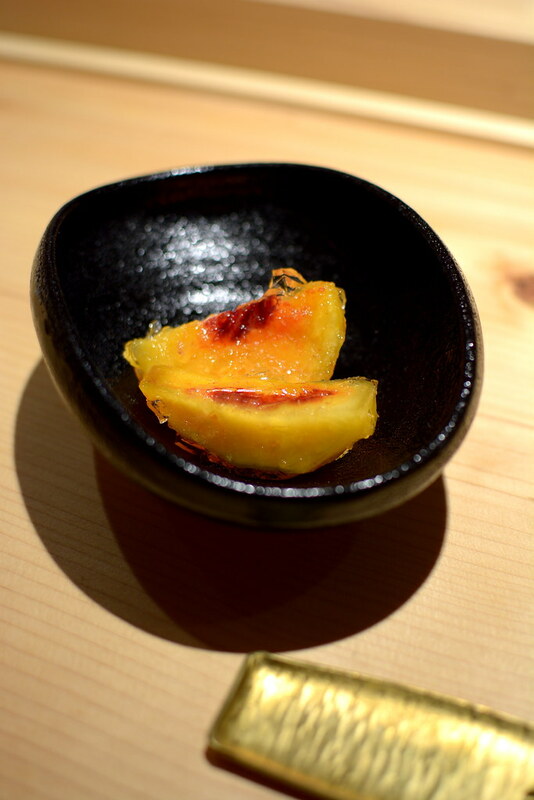 I walked away from dinner at Hayato with a deeper understanding of traditional Japanese cooking. The evening’s flight of impeccably prepared seafood was truly excellent from beginning to end. While I generally gravitate toward more flavor-forward foods—noodles swimming in funky broths, drippy cheeseburgers, and chili oil-dipped dumplings—Chef Go’s understated approach resonated with me long after the meal. 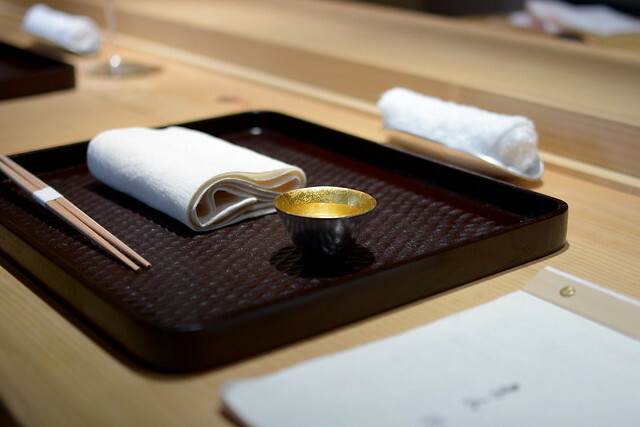 At Hayato, less is absolutely more. So fancy! One day I will come here.